Anyone who’s trying to get pregnant is well aware that ovulation, the mid-phase of your cycle, is when you’re fertile. What you may not have heard of is the concept of your Natal Lunar Fertile Phase: the idea that ovulation can be triggered when the moon is in the same lunar phase it was in at the time of your birth—regardless of where you are in your cycle. What this means is that you potentially have two fertile windows: biological ovulation in the middle of your cycle, and the time each month when the moon returns to the phase it was in at your birth. 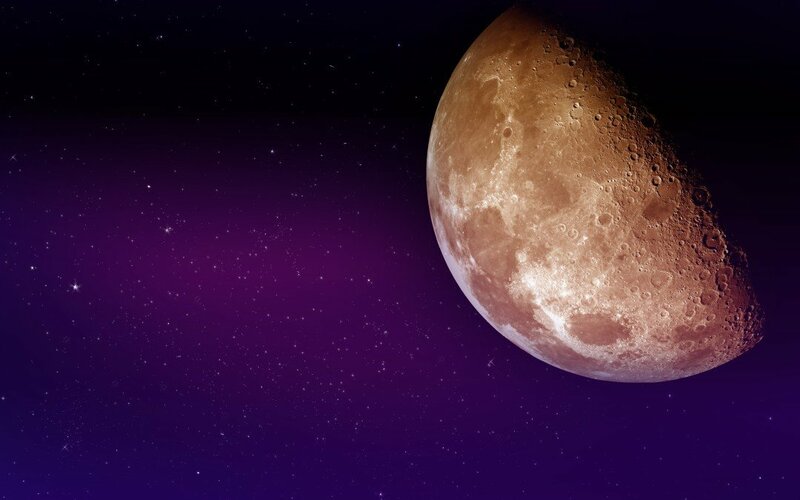 The concept of the Natal Lunar Fertile Phase was developed in the 1950s by Dr. Eugen Jonas, a Slovakian doctor interested in astrology and in the moon’s relationship to women’s fertility. He worked with married couples who volunteered to be part of his research, and his studies found that 85% of pregnancies were conceived during this natal lunar phase, independent of the woman’s biological ovulation phase. This may account for what the medical community refers to as spontaneous ovulation. So how would this work for you? If you were born at the crescent moon, you are fertile during ovulation, but you are also fertile every crescent moon–even if you’re pre-menstrual, menstruating, or in any other phase in your cycle not traditionally accepted as a fertile time. And if you can synchronize your cycle so that you ovulate during your natal lunar phase, according to Dr. Jonas’ findings, the probability of conception increases exponentially. I would love to see more current research on this, but in the meantime I’m heartened to know that for those who are trying to conceive, this is a non-invasive (and cheap!) method you can try. To find your Natal Lunar Fertile phase, generate a moon phase calendar for the time of your birth by inputting your birthdate and time here. ▪ For most of the month, sleep with no light. That means no computer, phone, or glowing alarm clock, and curtains that completely block any light from the street. ▪ When the moon is in the phase it was in at your birth, leave a nightlight on near your bed. ▪ And that’s it. It will take a few months, but you should gradually begin to ovulate during the time of the month that your body is exposed to light. Interested in exploring this further? My program Lunar Conception walks you through exactly how to harness this information. Learn more HERE. I wonder how many nights I need to leave a light on? Hmm very interesting and good article. However, I don’t believe in the whole moon thing concerning fertility for religious side of things but I do believe in its effects on the earth and certain behaviors. I’m happy to give anything a go but during my fertile time it says I have low fertility but a full moon which is what I had on my birth date so how can it work if it says your most fertile time in the calendar is during the times you can’t get pregnant i.e. period, haven’t yet ovulated? LOL, I think this moon and fertility thing isn’t real, not until I get scientific results backing the same. I tried this one time and it actually synced my ovulation period to the full moon.